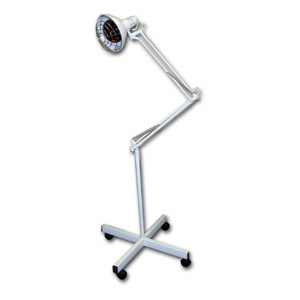 Item#-USA-1003.Infrared lamp with a 275W bulb for thermotherapy treatments. 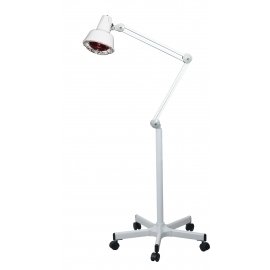 Its articulated arm eases the movement and fixes the lamp with total comfort. It comes with a high stability 5-wheel base.Please note:all shipping charges are additional and will only “show up on your invoice from us.this will not appear on your internet order. Model: SDS808A“The rectangular infrared lamp uses a superior infrared technology to create the ultimate infrared skin treatment for use at spas and salons. This infrared lamp (head only) is ideal for clientâs suffering from arthritis, carpal tunnel, diabetes, heart diseases, sore muscles, aching back and more. Infrared lamp rays have been shown to promote blood circulation, reduce swelling, relieve pain, and strengthen the immune system and more when used on a regular basis in healthy session amounts.please note,all shipping charges are additional to the freight amount“that appears in shopping cart when checking out and will only show up“on your invoice from us.this will not appear on your internet order. 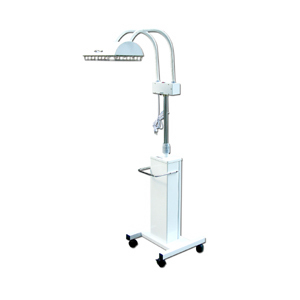 Model: SDSRL1010PC“This Infrared IR Lamp is made for easy use with a digital screen and high quality infrared lamp that can offer a variety of skin treatments for customers. Infrared lamps have been known to relieve body pain, reduce inflammation, strengthen the bodyâs immune system, promote blood circulation, relax and rejuvenate the skin. 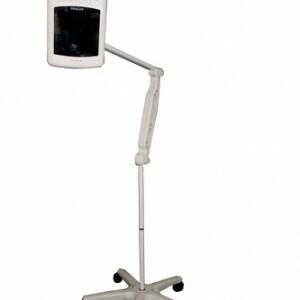 This infrared lamp features a strong base with wheels allowing for quick and easy portability. The body of the lamp is adjustable in two places and the head can also be swiveled allowing the lamp to be used at a variety of angles. please note,all shipping charges are additional to the freight amount“that appears in shopping cart when checking out and will only show up“on your invoice from us.this will not appear on your internet order. Model: SDS188“The Infrared Lamp with a Big Head is the perfect piece of spa equipment for adding more relaxation and massage-like warmth to a clientâs spa experience. Infrared lamps have been proven to offer many benefits including increased blood circulation, improved metabolism, reduced inflammation, immune strengthening and pain relief. With its sturdy base and smooth moving caster wheels, this infrared spa lamp is easy to move around the spa floor. The infrared lamp can be adjusted in two places along the lampâs structure allowing the lamp to be twisted and turned at a variety of angles. The head can also be adjusted in multiple directions. please note,all shipping charges are additional to the freight amount“that appears in shopping cart when checking out and will only show up“on your invoice from us.this will not appear on your internet order. Model: SDS608“The Infra-Red Lamp with a Small Head is the perfect compact piece of spa equipment that offers therapeutic results for the skin. 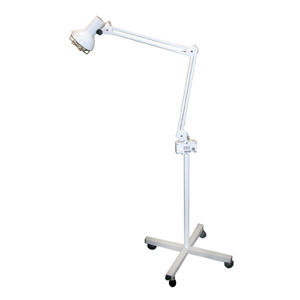 Featuring an adjustable head and arm as well as a sturdy base with superior caster wheels for easy moving on smooth surfaces, this infra-red lamp will fit in perfectly with other spa and salon equipment. The infra-red lamp emits a light wave that cannot be seen by the human eye but has a variety of beneficial results when shone on skin. Infra-red light is therapeutic, relaxing and opens the pores for body treatments. It has been proven to reduce swelling, relieve pain, strengthen the bodyâs immune system, improve metabolism, promote blood circulation and leaves skin feeling rejuvenated and energized.please note,all shipping charges are additional to the freight amount“that appears in shopping cart when checking out and will only show up“on your invoice from us.this will not appear on your internet order.